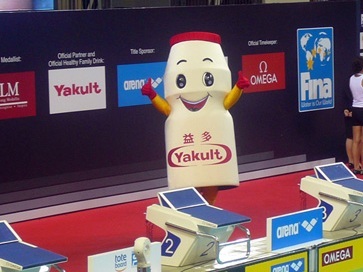 December 20 - FINA, the international federation for aquatic sports, has extended its Official Partner agreement with Yakult Honsha Co Ltd for a further six years, it was confirmed today. 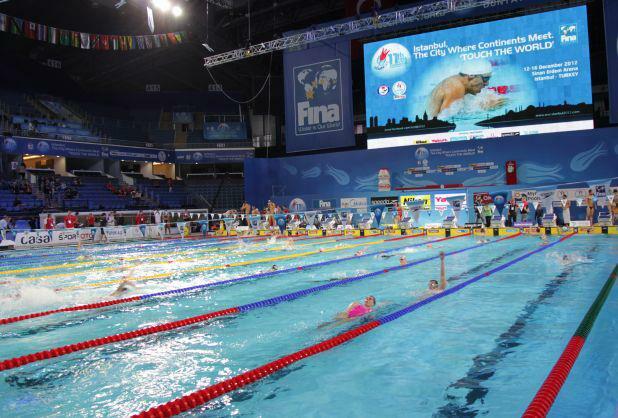 FINA first became partners with the Japanese firm, best known for its probiotic products, in 2005 and this latest deal will see the partnership extended until 2018 to cover the 2013, 2015 and 2017 World Championships in Barcelona, Kazan and Guadalajara respectively. In addition, it includes the 2014, 2016 and 2018 World Short Course Championships in Doha, Windsor, and a yet to be confirmed host city, as per the new agreement, which was publicly signed by FINA President Julio Maglione and Yakult general manager Kiyoshi Hirano at the 2012 version of the competition, which recently concluded in Istanbul. Yakult will also be the official bib sponsor of all women's events at FINA Championships, as well as the sponsor of FINA's Nutrition Programme. "FINA is very happy with this partnership, which brings additional value and prestige to our FINA World Championships, for the benefit of our athletes and respective National Federations," said Maglione. Meanwhile, Hirano was equally pleased and explained the motive behind the extended agreement. "Due to the success of our relationship over the last eight years, we have decided to extend our partnership with FINA for a further six years," he said. "We share FINA's philosophy of promoting good health through aquatics and in doing so contributing to the health and happiness of people throughout the world. "We are both proud and delighted to be extending our support of FINA."